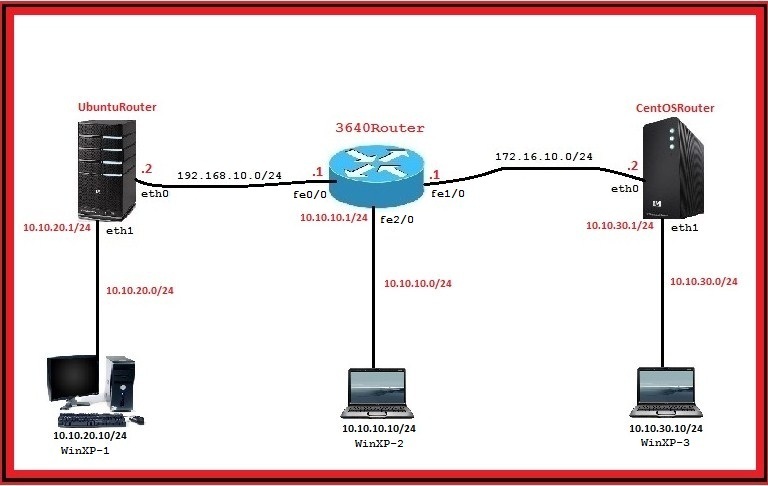 RIP routing between Cisco,Ubuntu and CentOS Router! Routers: 1 Ubuntu Linux with 2 nics, 1 Centos Linux with 2 nics and 1 Cisco 3640 Router with 3 FastEthernet interfaces. Clients: 3 Windows Xp with 1 nic. 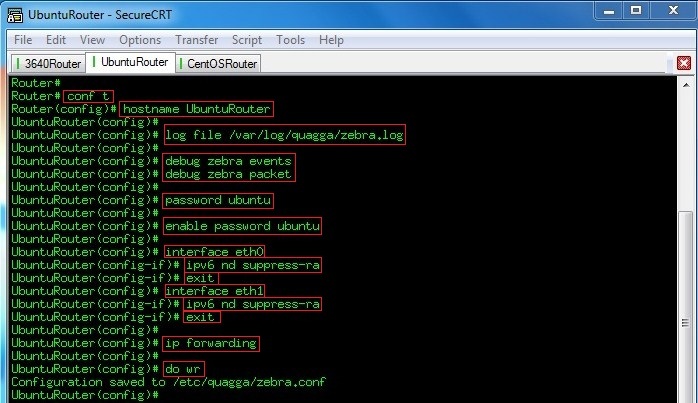 All the Routers in this scenario have a default password of “zebra“. 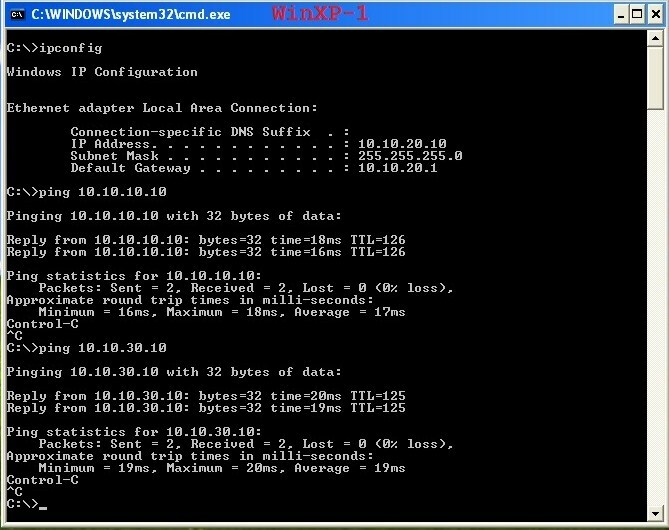 Make a simple test from WinXP-1. 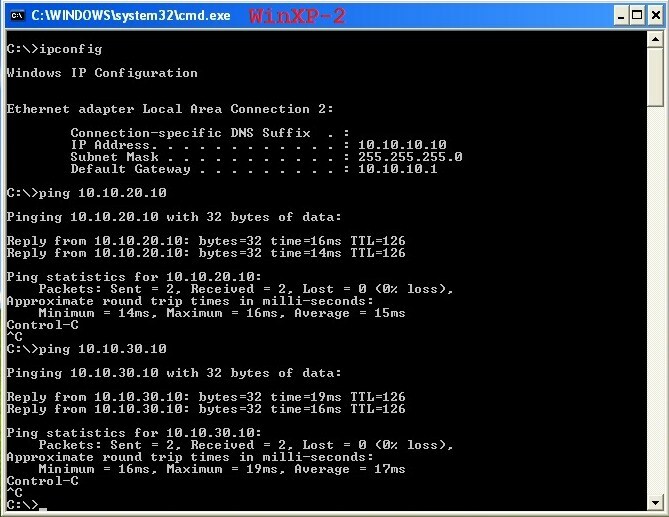 Make a simple test from WinXP-2. Make a simple test from WinXP-3.